Case study from California exploring how public participation can contribute to the land use planning process. These steps are typically done with the guidance of government agencies, professional planners, academic advisors or researchers, or other experts. Researchers from the United States and Australia studied another approach to inform the division of land into spatial regions. 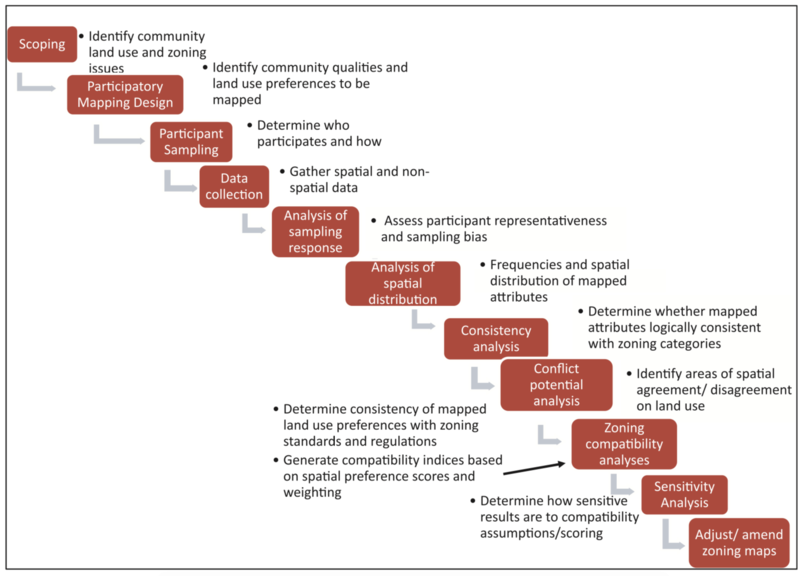 In a 2018 research paper entitled Using public participatory mapping to inform general land use planning and zoning, the researchers outline the process to create land use delineations through public participation. Instead of top-down, the researchers suggest a bottom-up model to create spatial regions. The researchers use a case study for California to demonstrate this process. What is the effect of NIMBYism to participatory mapping? Are the responses of the public influenced by who asked the questions? Is there more or less trust for government agencies or private firms? Can participatory mapping be used to trigger changes to the spatial zones or the land use regulations? Can is enable more dynamic land use planning?